Releasing balloons on public land will be banned after plans were approved by a council. Sky lanterns are banned by 20 of Wales' 22 councils, now Neath Port Talbot will extend this to cover balloons. A report said they "are often mistaken as food by many species" and "can cause the animal to starve". The proposal was given the go-ahead at a meeting on Friday and people releasing balloons from council-owned land face a fine for littering. Councillor Des Davies, a member of the regeneration and sustainable development cabinet board, said: "It is rather dangerous, you can see from the report why the proposal was introduced." The ban would affect places such as the popular Margam Park, the Gnoll Estate and Afan Forest Park. The Marine Conservation Society (MCS), which backs the move, said: "A fine is slapped on people who knowingly litter on the ground. "Letting go of a balloon or a lantern is actually littering up but it's currently not classed as such and there are no fines. " The report said: "Due to the increasing body of evidence of the detrimental impact of balloons being released into the environment, this report seeks approval to extend the existing policy which bans the release of sky lanterns, to include the intentional release of balloons as part of any event." MCS said its 2017 UK-wide beach clean litter survey found 1,533 pieces of balloon litter. They also said almost 70 councils across the UK have similar bans in place, including Cardiff. 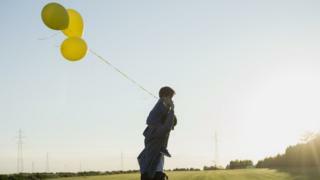 The report suggested promoting alternatives to balloon releases should the ban be introduced. These include virtual balloon releases and indoor pop a balloon events for celebrations or candle lighting or bubble blowing for memorial events.